Dave Cohen has over 25 years of experience promoting bikes for everyday transportation. Among a number of transportation projects he initiated in the San Francisco Bay Area, Dave founded Pedal Express, a bicycle delivery service operating a fleet of cargo bikes in Berkeley,CA. 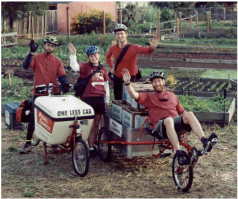 The delivery service gained national recognition for its partnerships with local urban farms, businesses and city governments. Pedal Express celebrated its 20th anniversary in 2014 and continues to be a model and inspiration for similar businesses throughout the nation. 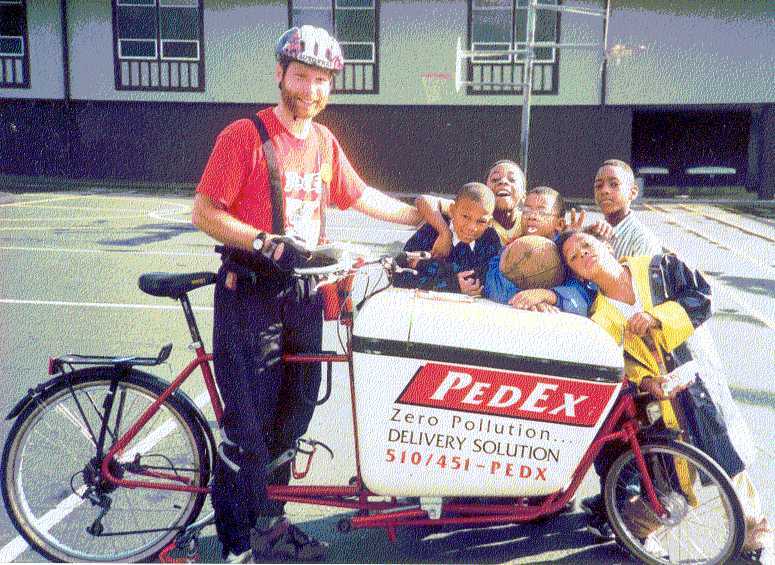 While at Pedal Express, Dave developed the Bay Area Sustainable Transportation Education Project (BAYSTEP), a non-profit organization devoted to showcasing the potential of bike transportation and teaching about the region’s transportation history. BAYSTEP developed a mobile demonstration fleet of cargobikes, folding bikes, family bikes, and an assortment of other vehicles, representing a wide range of bike technology and solutions. Over the years, Dave has also presented on transportation and ecological issues in the U.S., Canada, and Europe. Dave and his family moved to Brattleboro, VT back in 2007 and are all loving being Vermonters. In 2010, he began to develop a series of presentations investigating the sensory and neuropsychology of transportation and how our choice of mobility effectively shapes the way we view the world around us. The presentations feature the new generation of cargobikes and e-assist technology. Based out of this work Dave founded VBike in 2014. In addition to VBike, Dave also works as an integrative psychotherapist in Brattleboro, VT, trained in somatic and cognitive therapies as well as specializing in ecopsychology. Originally named PedEx, the company was forced to change its name to Pedal Express by an obscure business with a similar name that starts with an "F". Dave & Pedal Express riders circa 2000. 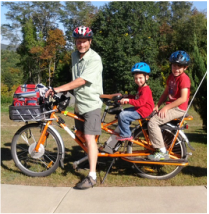 Dave today on this family's Yuba ElMundo hauling his precious cargo.